Why is the minivan a disaster? A complete and utter messy disaster. 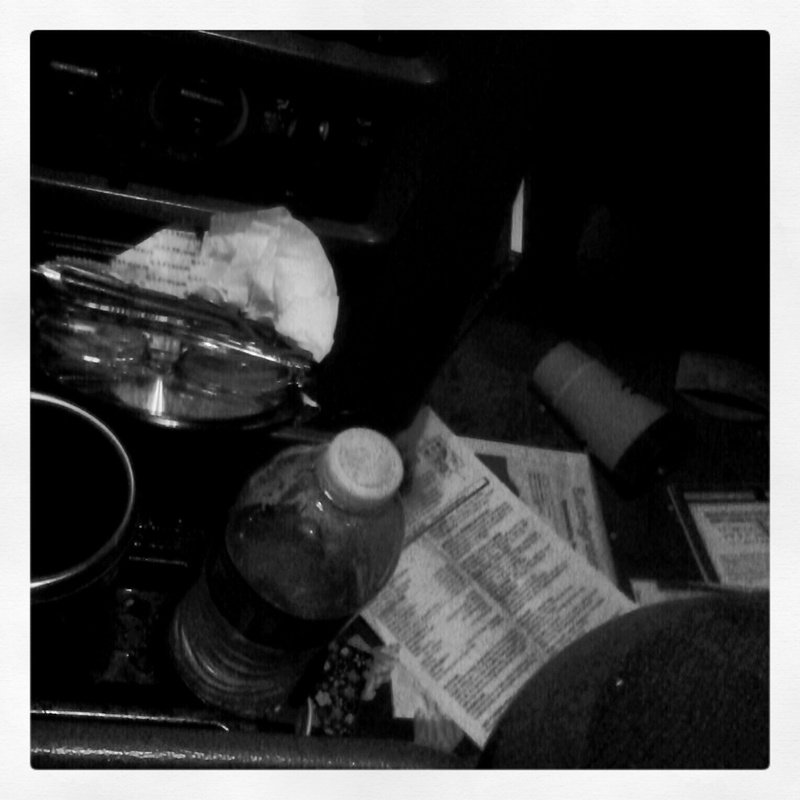 There is spilled coffee and food crumbs not to mention kid clutter all over. Cleaning it is a temporary fix because it will all return the next day as if it is a magnet for trash. I feel like I live out my car. Have I mentioned that I die a little every time I turn the key to the minivan? Well, I do. I live fifteen minutes from work but since I have two kids who have to be taken to two different places (and directions) it takes me an hour and a half to get to work in the morning. Mornings are chaotic, even on best days, getting both kids dressed, groomed, feed and out the door on time. By the time it gets to me, well, I eat in the car. And by eat, I mean I drink coffee. On occasion, I have been known to let the kids finish their breakfast in the car. When it is time to leave work, I am in a mad dash to get kid number one before 6 PM from after care and then drive south to grab Baby. While I drive, the second grader will practice spelling words or read while I drive so there is less homework when we get home. And, he will finish his lunch because the snack at after care was not enough to get him to dinner. I am ecstatic if I am home by 6:30 PM. Ecstatic. I hate the minivan, I hate driving and there never seems to be enough time. My minivan is a disaster. It is a complete and utter messy disaster.